If you have excessive, uneven gums, chances are people are noticing your gums and not your beautiful smile. It’s time to expose those beautiful teeth once again. Your dentists at Mendelson Family Dentistry in Owings Mills, MD, want to introduce you to treatments that can reshape your gums and bring your smile out. Excessive, uneven gums can be caused by a lot of factors. Genetics, medical conditions, and some medications can all cause overgrown, puffy, uneven gum tissue. Poor oral hygiene can also dramatically affect your gums. Gum tissue should normally appear pink and firm, but plaque and bacteria accumulation from not brushing and flossing can cause inflammation, swelling, and redness. Instead of your gums looking healthy, poor oral hygiene makes your gums look swollen and bulky. Cosmetic gum surgery, using a laser to reshape and recontour gum tissue to re-establish the proper proportion of gum to tooth. Laser treatment is performed with local anesthetic and requires no incisions and minimal downtime. Gum grafting to cover exposed tooth roots caused by receding gums; gum grafting uses tissue from another area of your mouth, or medical-grade grafting material to replace missing tissue. In addition to surgical options, it’s critical to establish what caused your excessive, uneven gum problem, so you and your dentist can help prevent the problem from recurring. 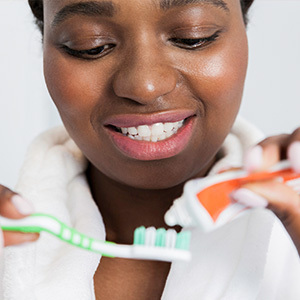 If you have gum problems from poor oral hygiene, your dentist and dental hygienist can help you establish a regular program of excellent oral hygiene you can practice at home, to keep your smile in top shape. Your dentists may also recommend periodontal therapy appointments to help keep your teeth clean and keep bacteria levels low, to prevent disease. By monitoring and maintaining the health of your mouth, you can keep your gums firm, pink, and healthy looking. 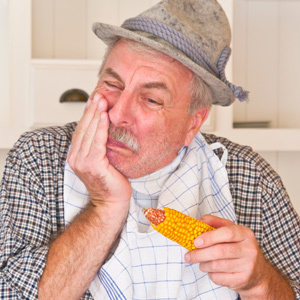 If you have excessive, uneven gums, you can help your gums and your smile by calling the dentists at Mendelson Family Dentistry in Owings Mills, MD. Call today and save your smile!